THIS SATURDAY JULY 15, 2017 on Bailey Island, ME. Join the Maine Coast Fishermen's Association (MCFA) for their second annual Hook, Line, and Dinner. Celebrate Maine fishermen and our Maine's wonderful seafood in a gorgeous iconic Maine spot at Cook's Lobster and Ale House on Bailey Island. If you love Maine seafood, Maine beer, and Maine music, this event is for you. Event starts at 6 and tickets are $55. Ticket fee includes beer, seafood, and music. 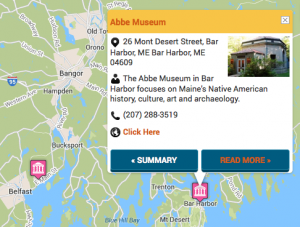 Experience Maritime Maine - Visit Maine!